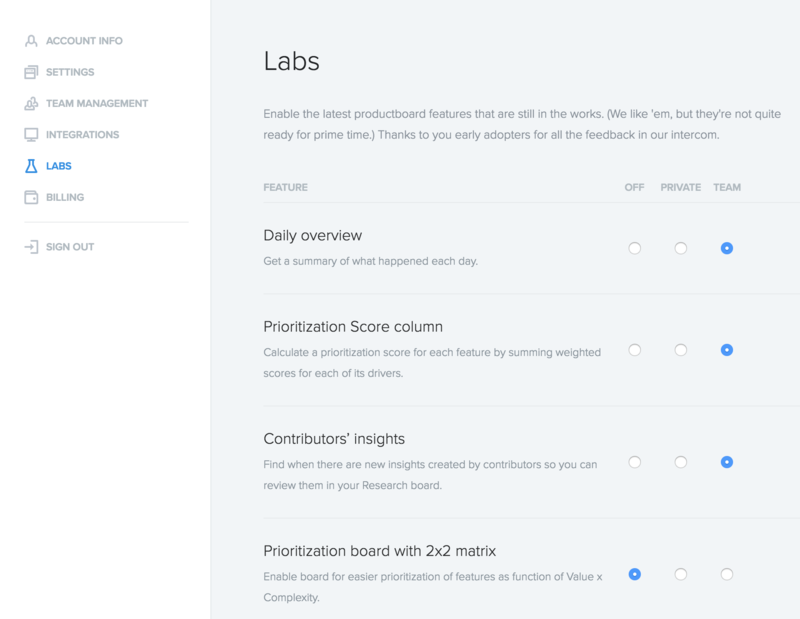 Are you a productboard power user? Do you have the admin user role? If so, use Labs to enable features that are still in beta. Labs features are Off by default. Private means only you'll have access. Team means everyone in your project will have access.